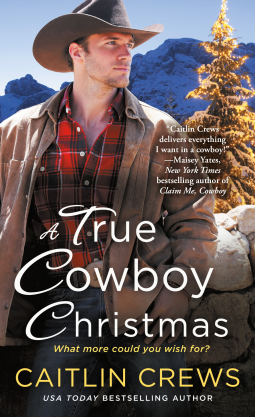 A True Cowboy Christmas by Caitlin Crews is a heartbreaking journey to hope and forgiveness. A family well-known has gone through years of hell. Their father/grandpa made their worst memories haunt them, repeatedly. Even now, once buried, the dead man seems to curse them still. It takes the courage and bravery on a young girl/daughter of a rancher and a young woman to show the family what love is. Caitlin Crews swept me up in this new story. I could not help but feel sympathy for each of the main characters. Their pain became mine. Sorrow, loss, emptiness seemed to hover over their heads. All until a rancher suddenly decides to make a beautiful woman his wife. From there, a glimpse of hope vibrated throughout the novel. I sat on the edge waiting…dreaming for what might come. This talented writer did not disappoint me. I was in love. Overall, I recommend it to all.